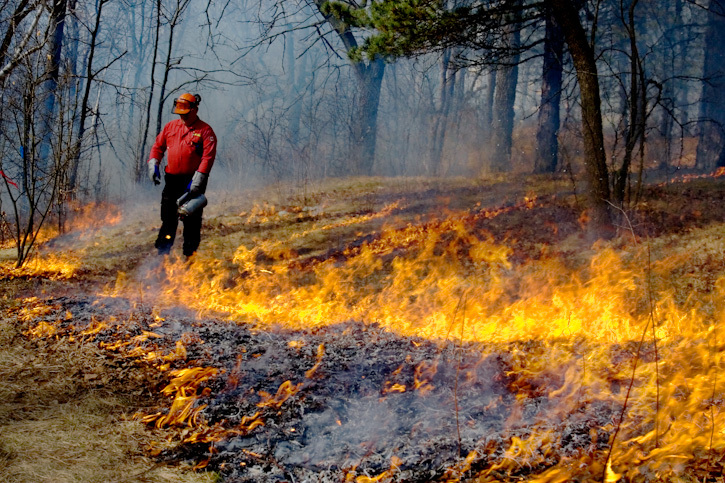 A 'Fire Boss' tourches grass in one of Toronto's rare black oak woodland savannahs durring a controlled burn in High Park. The controlled burn will consume dried leaves, small twigs, and grass stems, and will allow the black oaks to grow more vigorously. Photo by Robert McKenna.